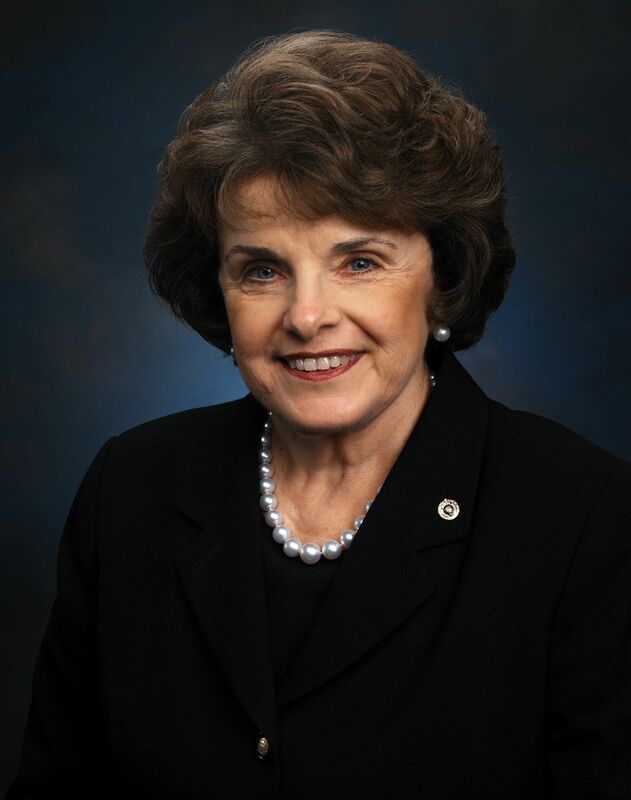 Senator Dianne Feinstein (D-Calif.) today released a discussion draft of the California Long-Term Provisions for Water Supply and Short-Term Provisions for Emergency Drought Relief Act, a bill to help California deal with the drought emergency as well as future long-term effects of climate change. The legislation includes a wide range of provisions to address both long-term water supply needs (storage, desalination, recycling) as well as short-term, temporary solutions to make the water-delivery system more efficient during this drought. “In my 23 years in the Senate, this has been the most difficult bill to put together. The maxim that whiskey’s for drinking and water’s for fighting is alive and well in California. Over the past several months we’ve gone through an extensive consultation process with state and federal agencies to ensure the bill’s short-term provisions allow both the state and federal water systems to work efficiently to store water during high flows while operating within environmental laws and biological opinions. We worked through every proposal or suggestion we received from these experts and all of them are incorporated into this version of the bill. On the federal side we worked with the Department of the Interior, the Department of Commerce, the Bureau of Reclamation, the Fish and Wildlife Service and the White House’s Council on Environmental Quality. 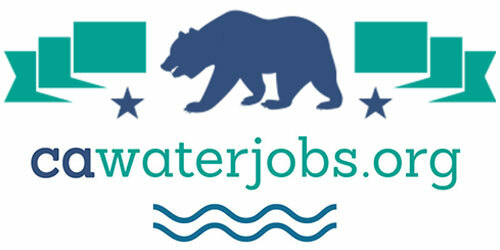 And on the state side we worked with the California Natural Resources Agency, the California Department of Water Resources and the California Department of Fish and Wildlife. I believe the bill being circulated is totally consistent with the Endangered Species Act, the Clean Water Act and biological opinions. In addition to integrating proposals from state and federal agencies, the bill also reflects input from environmental groups, water districts, wildlife advocates and both Democratic and Republican congressional offices. It’s not possible to quantify the amount of additional water that will be generated by the bill’s short-term provisions. You can’t produce water without rain and snow, which is difficult to predict. But it’s critically important that we move this bill so we can collect and store what may well be significant amounts of water during this year’s robust El Niño. It’s important to know what the bill does not do. The bill does not mandate how much water must be pumped. Those decisions will continue to be made by federal and state agencies. Removing mandates from earlier drafts and leaving pumping decisions with federal and state agencies should alleviate concerns that the bill may somehow violate environmental laws or biological opinions. Pumping levels must, however, be determined using the best available science to help protect fish. This means daily monitoring of water turbidity (the cloudiness that attracts fish to pumps) as well as daily monitoring of fish populations by boat when turbidity is high. This careful monitoring will allow more water to be moved when fish won’t be harmed and for pumping levels to be quickly reduced when fish are nearby. The bill includes several short-term, temporary provisions to allow for more efficient operation of the federal and state water systems during this drought. The temporary provisions are fully compliant with environmental laws and biological opinions and will sunset two years after the date of enactment or when the governor’s drought declaration ends, whichever is later. The current El Niño looks like it will be robust, providing a significant amount of precipitation. Already the snowpack is significantly higher in height and water content than the last few years, and water flows are high. But that water will be wasted if we’re unable to capture and store it. Winter storms and “payback.” The revised bill authorizes agencies to increase pumping during winter storms using their best judgment to determine the level of outflow that is the appropriate trigger for increased pumping. Once the storms end, the agencies would no longer be required to “payback” water already pumped unless there was an environmental reason, such as harm to fish. Currently, the “payback” means agencies must reduce subsequent water pumping by an equal amount of water as was captured during the storms, which would mean the loss of thousands of acre-feet of water that could instead be stored or transferred. 1:1 transfer ratio. 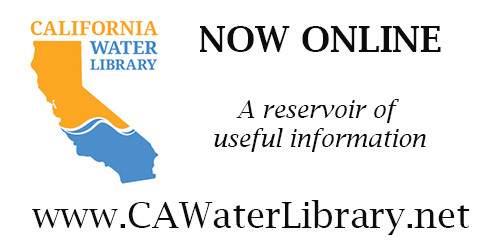 The strong El Niño means more water is likely to be available for voluntary transfers from users with extra water to users downstream who need water. This provision helps facilitate those transfers in April and May by allowing a 1:1 transfer ratio. In past years, agencies have reduced the likelihood of transfers by requiring water users to send more water downstream than can be pumped out (up to a 4:1 ratio). By allowing for a 1:1 ratio—while adhering to environmental law and biological opinions—more water transfers can be accomplished, providing water to users who truly need it. Extending the time period for water transfers. The bill extends by five months the time period when transfers may take place. The current transfer window of July through September is extended to April through November. All transfers must remain consistent with the biological opinions. Delta Cross-Channel Gates. The bill requires the Secretary of the Interior and the Secretary of Commerce to take steps to ensure the gates remain open as long as possible. These gates are critically important for controlling salinity in the Delta. When the gates are closed, water that would otherwise be pumped or stored is instead used to flush salty water out through the Delta. Keeping the gates open longer will help reduce salinity and avoid releasing water unnecessarily. All of these short-term provisions are temporary and will sunset two years after enactment of the bill or when the governor’s drought emergency expires, whichever is later. I believe this bill’s great strength can be found in the long-term provisions to provide new sources of water and new ways to store water. These provisions—which authorize a total of $1.3 billion (which is offset)—include desalination, storage and water recycling projects as well as assistance for drought-stricken communities. This bill also puts the federal government in line with California’s $7.5 billion state water bond. These federal funds can also be used by other Western states. Assistance for drought-stricken communities. 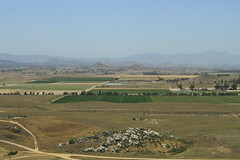 The bill increases the WaterSMART authorization by $150 million, some of which can now be used for a new Bureau of Reclamation program to help rural and disadvantaged communities that are running out of water. These grants can be used for short-term solutions like emergency bottled water and long-term solutions like water treatment facilities. 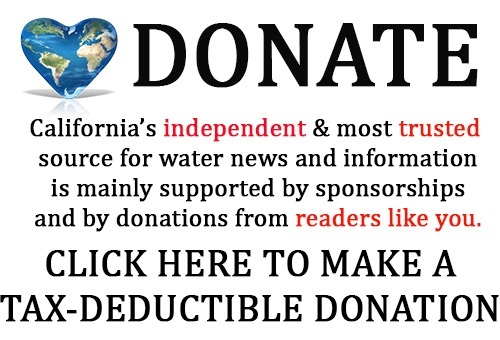 Additionally, the bill prioritizes money from the State Revolving Fund in California—which can be used for a variety of water infrastructure projects—for drought-stricken communities. The state received $183 million from this pot of money last year. Helping communities fund water projects. The bill authorizes $200 million for the Reclamation Infrastructure Finance and Innovation Act, known as RIFIA. This loan-guarantee program will help water districts and municipalities fund long-term solutions to store water and provide clean water. The bill also authorizes $10 million through 2019 for EPA’s WaterSense program to provide information on water-efficient products that reduce household water use. Water storage projects. The bill authorizes $600 million for water storage projects in California and other Western states. These funds may be used on federal projects like Shasta as well as non-federal projects like Sites, Temperance Flat and Los Vaqueros. The bill also establishes deadlines for the Bureau of Reclamation to complete feasibility studies to build or raise dams. These funds run through 2025. Water desalination projects. The bill identifies 27 desalination projects in California—which could produce more than 330,000 acre-feet of water—that the Secretary of the Interior must consider funding in addition to other qualifying projects. The list was primarily drawn from the California Water Plan. The bill also reauthorizes the Desalination Act and authorizes $100 million for feasibility studies and project design as well as desalination research to improve reverse osmosis and membrane technology. These funds run through 2020. Water recycling projects. The bill identifies 105 water recycling projects—which could produce more than 850,000 acre-feet of water—that the Secretary of the Interior must consider funding in addition to other qualifying projects. The list was compiled by the Association of California Water Agencies, the National Association of Clean Water Agencies, the Water Reuse Association, the Western Recycled Water Coalition and the California Association of Sanitation Agencies. The bill authorizes $200 million for the Bureau of Reclamation’s Title XVI water recycling program and streamlines the program by eliminating the hurdle of congressional authorization for individual projects. The bill also increases the authorization of the Bureau of Reclamation’s WaterSMART program by $150 million (from $350 million to $500 million) for long-term water conservation, reclamation and recycling projects. This bill will not satisfy every water interest in the state, but we have tried mightily to listen and absorb commentary from interested parties. We have worked hard with state and federal technical staff and believe these provisions will place California on a long-term path to improve its water infrastructure and provide short-term improvements to water-system operations so we can store more water at the times of peak outflow during the period of the governor’s emergency drought declaration. The bill reflects many meetings between Democrats and Republicans, water districts, cities, rural communities, farmers, fishermen and a number of environmental groups. This is a bill that offers real help to California while adhering to the laws and biological opinions that protect fish and wildlife. I’m holding meetings over the next several days with environmental groups, water districts and farmers to discuss these provisions with them, and I will also meet with those House members who have indicated a desire to discuss the bill when they return to Washington early next week.